Alrighty then, here goes. If you are unaware I am doing a charity skydive in memory of Matilda Mae you must be a new reader here, so Hiya and welcome. I mention it quite often on Twitter and Facebook that I am trying hard to fundraise. Sadly my donations haven’t taken off yet, so I’m trying something else. UPDATED – I have changed the donatition link in the Rafflecopter form to support Claire as I have reached the £400 I needed to reach. Sadly Claire hasn’t yet. All entries made via my donation page are still valid of course. The only change is where future donations end up. Also the lovely Lucy has a super-fast last minute raffle going on, same principal, make a small donation and you could win something. We are all working as a team to try to help each other raise money. A MAHOOOOSIVE charity raffle. The prizes so far are listed below, and I am still trying to add to this list. To enter the raffle is easy peasy – there is one compulsory first entry on the Rafflecopter widget below – a donation of £2 or more. Anyone who does this, THANK YOU, you will then get the option of extra entries such as following the social media pages of some of the companies kindly donating prizes or tweeting about this raffle to get more donations to the JustGiving page. I won’t fib, I just want your money! But for the Lullaby Trust, not me. You can read about the Lullaby Trust and last years skydive on my blog. The prizes, in no particular order. Reef 2 on DVD thanks to Paramount home media. 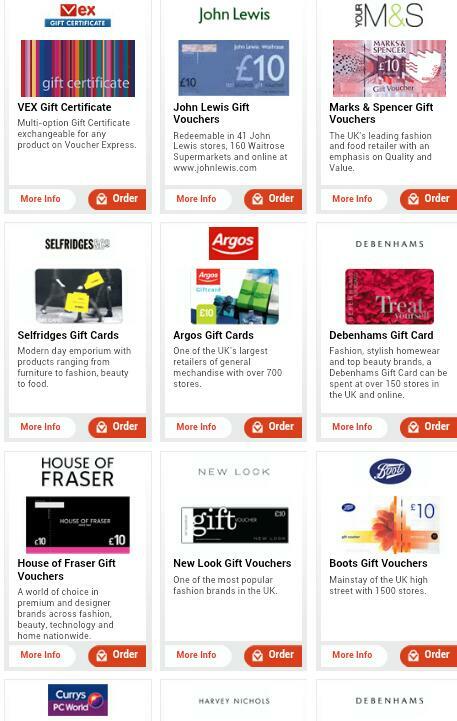 Voucher Express are very kindly giving a £50 voucher, they sell pretty much every gift card going. Check them on twitter @Voucher_Express. Shopping is so much fun when its “guilt free” using vouchers you’ve won. £25 of Vileda cleaning products. To celebrate the launch of their new campaign, ‘Floor Miles’, I’ve teamed up with Vileda, the UK’s leading household cleaning brand. Vileda is offering one lucky reader the chance to win £25 worth of cleaning goodies to get their home ship shape this spring. Perfect for busy homes, Vileda products are designed to last miles longer and make your cleaning miles easier! For more competitions and to find out how to collect Vileda ‘Floor Miles’ and be in with a chance of winning a family eco-holiday, head to the Vileda UK Facebook page facebook.com/ViledaUK. A 4 pack of E-cloths. Great for allergy suffers as they are designed to be used chemical free, with just water. MAM baby are donating a bundle of baby products. I’m unsure of the exact items, think of it as a surprise. The lovely folks at Suppose.com are donating Sweet, a cookery book by Levi Roots. The “typist” at Wagg pet foods say Dalton dog is offering two pet food and treat prize packs. One for dog owners, and one for cat owners. Again the contents are a slight surprise but I am confident it will be good. A Speck products iPad PixelSkin-HD case in cobalt blue. This is in the proper packaging, it was only removed to review it here but Blokey wanted his genuine Apple case more. Worth £44.95 on the Speck website. Something nice from Dodo Pad. “LordDodo” is offering an Acad-Pad desk and wall planner and an address book to one of the winners, worth about £30. To be clear, each item on the Rafflecopter is going to be chosen separately, but if your name comes out more than once you might win more than one prize. If you are a business owner or a PR reading this and thinking about donating a prize, please do contact me. I’m terrified but ekkkk we are doing this! Voucher or cleaning products would be great but also eyeing up the fab cookbook. clare nicholas recently wrote… Karcher K4 Compact Home #Review. I did a parachute jump once. I was nervous beforehand, but it was amazingly good fun. Good luck. I think you are completely crazy for doing this! I can’t believe you’ve done it once never mind twice!! I would love to win the cleaning stuff (kinda needed for the new house) or some vouchers so I could do some guilt free shopping!! Lauranne recently wrote… Losing my mind. The fact that you are voluntarily throwing yourself out of a plane….for the second time had me convinced of your craziness!! Lauranne recently wrote… best laid plans. Lisa from Lisa’s Life recently wrote… The Prompt: I Should Be So Lucky. Di Coke recently wrote… Kids competition round-up. Nowt wrong with fussy, and I did ask. I would hate to think I sent cat food to a petless family, and baby bottles to a childfree home with moggies. 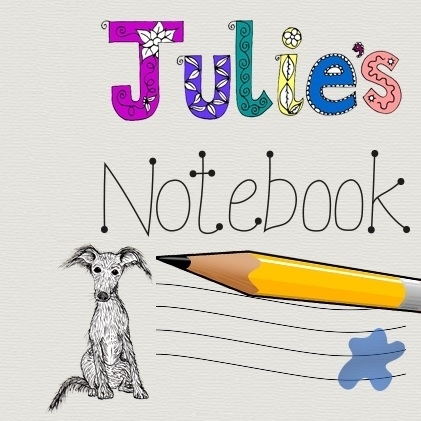 Pingback: Julie's Notebook | Help #MMskydive and the Lullaby Trust for free! Anything apart from the DVD, the book or toddler stuff as I don’t have a kiddie yet. Way to go Julie, I hope its not as terrifying this time. Lovely prizes, anything apart from baby or pet prizes would be good. This is such a brave thing to do! Thank you so much for donating Alice Megan. Your support means a lot. Well you’re really brave/crazy doing this for a second time if you really hate heights, I’d do it but I think someone might have to push me or we’d be waiting a long time! Should I win anything, I’d be extremely grateful, no matter what it was, as I’d find a good use for it. You are actually crazy. Lovely, and crazy. I couldn’t even think about the idea of jumping out of a plane, my brain takes over & says “that’s not possible!” Good luck, and wheeeeee! I could never do a sky dive,I am terrified of heights,my legs actually go wobbly when I watch people on tv doing things like that!Well done! It makes me the same. I am the least likely person in the world to do this twice. Good luck with your fundraising and the skydive. A great cause and a very brave lady.. I am terrified of heights and even feel ill watching them on TV ! Any prize apart from the MAM please.. no small babies in the family now. I would love the voucher so I could treat myself to something new guilt-free! Good luck Julie! I’ve donated. Could I please request no dog/baby items please? All prizes would be very lovely, but I don’t have a dog, or even know a dog except the chihuahua (wayhey, spelt it right first time!) up the road that bites my ankles. I don’t think I want to win the little ?! *# a gift, unless it’s a muzzle! Wishing you the best of luck, I think you’re fab for doing it! I would love to win the voucher express voucher. Unfortunately we don’t have a cat or dog, so the pet prizes wouldn’t work for us. I would be very interested in the voucher if that’s ok because I would LOVE to do some amazing leisure things, like going swimming with the sharks with Virgin Experience Days, or rock climbing or canooing or something awesome so that I have that step in the door towards the leisure industry! I have rarely done things like that! Also the baby products and the cleaning bits if I may be added in for those as I would like to give them to someone I know to help out with growing expenses? The ipad case would be useful, but is not a must. Good luck! Thank you for running this awesome competition! best of luck for the skydive. i admire you – id be terrified! Well done and best of luck. The voucher express voucher sounds very handy. Can any local companies sponsor you if you wear a t-shirt etc for them or get publicity in the local paper??? I couldn’t do a Sky Dive so hats off to you. The Voucher Express prize sounds amazing. I don’t have any pets, so I’m sure someone else would prefer the cat and dog prizes. I would love to win anything, except the cat stuff please. I don’t think my doggy Snoopy would be very impressed if I gave anything cat to him! Biggest grin reading this. Freya (a daft lump of a dog) really likes cat snacks and toys. I am so impressed with your efforts and I really hope you all get up there.